What caused Zimbabwe’s economic crash? 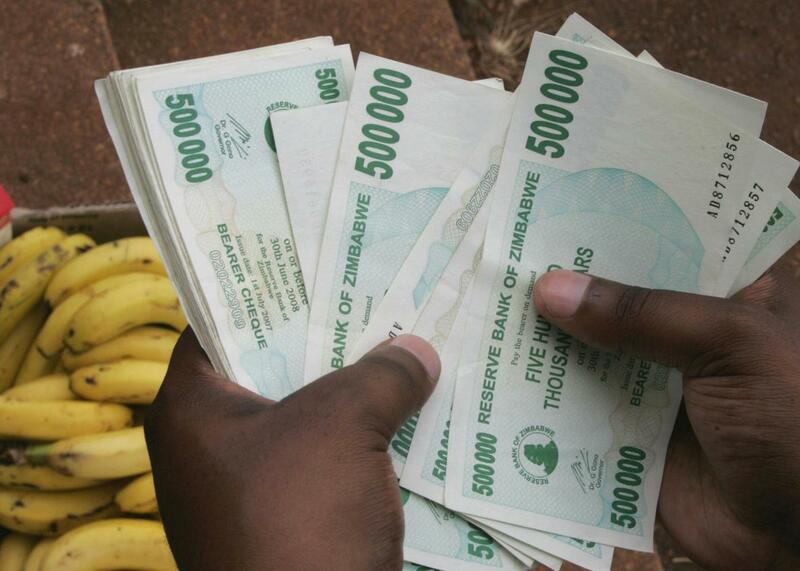 A man counts money to buy bananas in Harare, Zimbabwe, in 2008. Zimbabwe and its neighbor South Africa are startling contrasts in how racial relations are managed after the end of rule by the whites. In the case of South Africa, there was more of healing lead by Nelson Mandela. In the case of Zimbabwe and Robert Mugabe, it more of falling off a cliff. Both Mugabe and Mandela spent a lot of time in prison. Zimbabwe’s economy collapse is from one of the worst dictators in the region leading an extraordinarily corrupt regime, a terrible land distribution program that has demolished food production, HIV/AIDS ripping through the region, the Second Congo War and Mugabe’s involvement there, the U.S. sanctions to curtail Mugabe’s regime, and the regime’s desperate efforts to pull itself out of all this through printing money. Since its independence in 1980, Zimbabwe has been ruled by a single leader, Mugabe. He ruthlessly eliminate any opposition in his ZANU party and elsewhere. Over the past 35 years, it was practically a single-man rule who does everything to keep himself in power. The country is among the world’s top 20 most corrupted nations, and Mugabe has been trying to stay in power by printing as much money as possible to survive himself. In the 1990s he instituted land reforms to take away land from the white landowners to distribute it to black Zimbabweans. Some of these new farmers had no experience in farming, and thus food production dropped by nearly half. Around the same decade, HIV/AIDS became a major threat, ripping apart Zimbabwe and many other African countries. Since 1998, he involved his country in the Second Congo War, further impoverishing the country. In reaction to all this, U.S. and Europe have imposed sanctions in early 2000s against the ruling elite and the farms connected to them. These sanctions were the last straw in the already struggle Zimbabwe economy. By 2008, Zimbabwe inflation was 89,700,000,000,000,000,000,000 percent as the regime keep trying to print its way out of the mess. International economics: If the whole world decided to put sanctions to completely isolate the USA, would the USA be able to survive? Zimbabwe: How can Zimbabwean economy be fixed? Economics: If I start physically destroying currency, how will that affect the economy?